Selling a home is a big decision and should not be taken lightly. Before you even begin to prepare your home for sale, there are some questions you should ask yourself before selling. 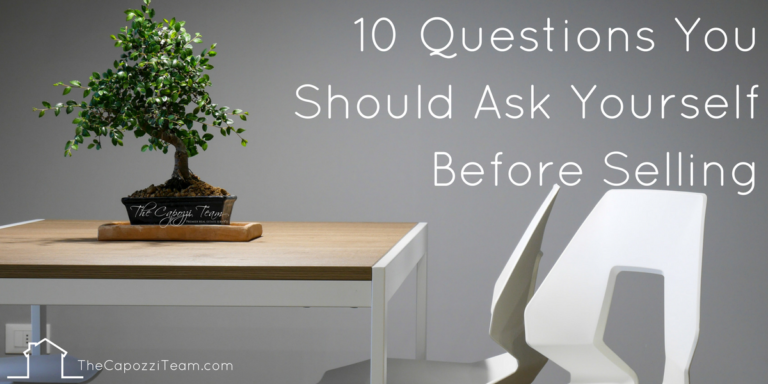 Not sure what you should be asking? You’re in the right place! 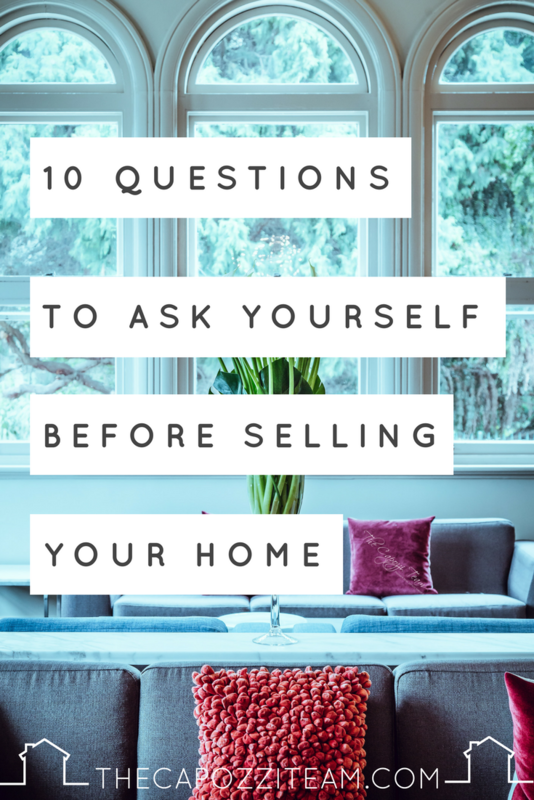 Here are 10 questions to ask yourself before deciding to sell a property. 1) Why am I selling my home? 2) Can I afford to sell my property? 3) Should I use a real estate agent? 4) What is the real estate market like? 5) How long will it take to sell my home? 6) What is my timeline? 7) When is the right time to sell? 8) Who is the competition? 9) Is my home ready to sell? 10) Should I offer any incentives to potential buyers? This is the first question you must tackle. Your “why” will drive the rest of the process. Sometimes figuring out your why is crystal clear, other times it may lead to more questions. Do you need to sell or do you want to? Do you need more space? Less space? According to the National Association of Realtors (NAR), 52% of sellers profiled in 2017 traded up to a larger home. Homeowners spent and all time high of 10 years in their home before selling. Selling your home does have a cost to it. Knowing your current money situation before you list can keep stress levels at bay. Do you need the profits from the sale of your home to purchase another? How much are you willing to spend if repairs are needed? While you can sell your home by yourself, hiring a real estate agent will take loads of stress and responsibility off your shoulders. Prepare,explain and help you understand the sales paperwork. Market your home to potential buyers & their agents. Obtain and share feedback from showings. Present and explain offers you receive. Your job will be to ensure your home is in tip-top shape and make it available for viewing requests from potential buyers. Sounds like it might be worth it, doesn’t it? The real estate market can have its ups and downs. Knowing what the conditions are like when you’re ready to sell can help position you for a profitable sale. In WNY, we have been experiencing a seller’s market; where the number of buyers outweighs how many homes are available to purchase. This is good news for sellers! For the current and most accurate market trends, contact your real estate agent. 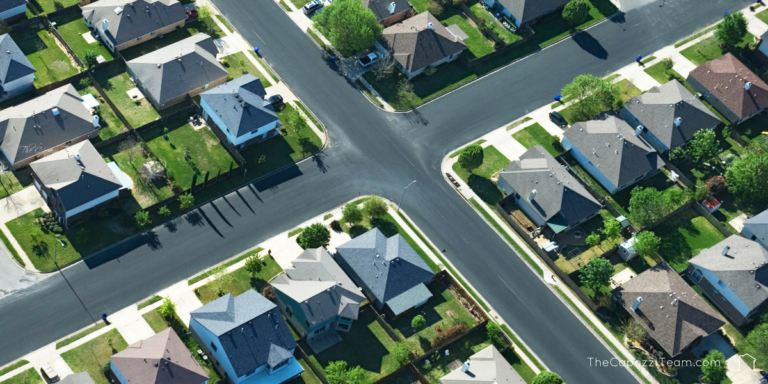 A Realtor will be able to tell you if it’s currently a buyer or sellers market, what is going on in your neighborhood, how your home stacks up against the competition and how their featured homes perform. Homes listed for sale with a real estate agent in Erie County spent an average of 36 days on the market in 2017. Niagara County homes spent 47 days. Days on market is calculated from the day a property is listed until the day an offer is received and placed under contract. To sell a home quickly you must grab and hold a buyers interest within the first week of being on the market. Pricing your home correctly, staging and professional photos put your home in the best light. Check with your real estate agent to find out the current average days on market and how their featured properties compare to region averages. In other words, when would you like to be moving into your new home? Knowing your timeline before you list your home can make the process a little smoother. Do you need to sell fast? Are you working around a child’s school schedule? The average days on market for Erie/Niagara Counties is 39 days in 2017 for single family & condos. The closing process (offer to closing) typically takes 60 days. That is a little over 3 months from beginning to end, on average. It’s always wise to consult your local real estate agent to see how the market is doing. They can tell you if the conditions are right for a quick, profitable sale. You have paid off your mortgage (or a majority of it). You have equity in your current home. Your current home no longer fits your lifestyle. You are in good financial shape. Your property is a product. It has “bells & whistles” that will be compared to the house down the street. During your home value estimation, or comparative market analysis, your real estate agent will be able to show you homes in the area similar to yours. Your house will need to be competitively priced against them and have features that draw buyers in. Get a leg up on the competition by touring open houses in the area. Find out what they are listed at and what they have to offer. How does your house compare and can you make yours stand out more? A good first impression (and proper pricing) is key to selling fast. Are there any things you have been putting off repairing or fixing up? If so, now’s the time to do it. In addition to repairs, a fresh coat of paint and professional cleanings go a long way. A pre-sale home inspection might be a good investment. Many home buyers hire a home inspector to give them a report detailing the condition of your homes mechanics, exterior and interior. Knowing issues that could arise at a buyers inspection give you the opportunity to fix them or negotiating power if they come up. Depending on the market conditions when you decide to list, you can explore offering incentives to potential home buyers. In a sellers market, homeowners with properties in move-in condition may not need to consider offering incentives. If your home is lacking (old furnace, dated wallpaper) you might consider an incentive or two. In a buyers market, when supply outweighs the demand, incentives can draw attention to your property making it more desirable. There are a number of things you can offer to potential buyers as incentives: sellers concessions, a home warranty, credit towards repairs or replacements. Can you afford to? If you cannot, stop and skip down to the end of this article. Do you have old carpeting or wallpaper that’s dating the house? You can offer a credit at closing for a buyer to have those things removed and updated. Is your home VERY similar to others on the market AND similarly priced? Buyer incentives might make your property more attractive. Asking yourself these 10 questions is just the very beginning of your home sale adventure. Tammy Capozzi and The Capozzi Team is here to help you with the rest. Call us today to schedule your in home value estimate.